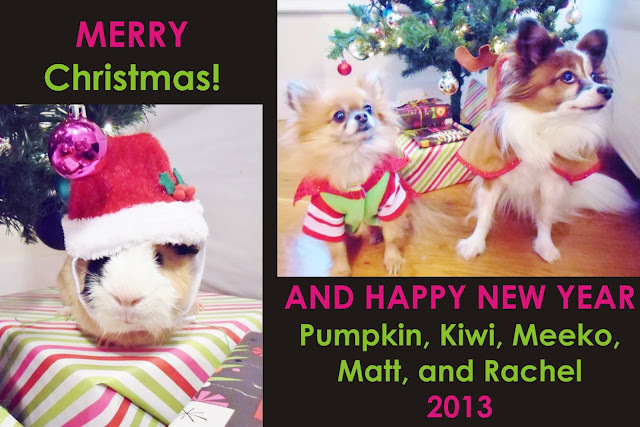 From my fur babies to yours, we wish you all a very Merry Christmas and Happy Holidays. We hope your day is filled with love and joy! I'm also sharing my Christmas card to my hubby. I used an adorable digital stamp purchased from the Doodle Garden on Etsy. I really love her images and had fun coloring this sweet mouse! The image was colored with Copics and I stamped the sentiment with Papertrey Ink "City Scene Christmas Sentiment Mini" set. Some crystal Stickles were added to the star. Isn't this mouse so cute?! I love it. And the winner of the DCWV paper packs for the New Year's hop is... ELISE C. Congrats, Elise! Love the fur babies and your card. Hope you had a Merry Christmas! Awww, thank you SO much for using mt digi as part of your Christmas giving! ♥ I'm so glad you like it..you did a BEAUTIFUL job!